Our Services for Business evolve. 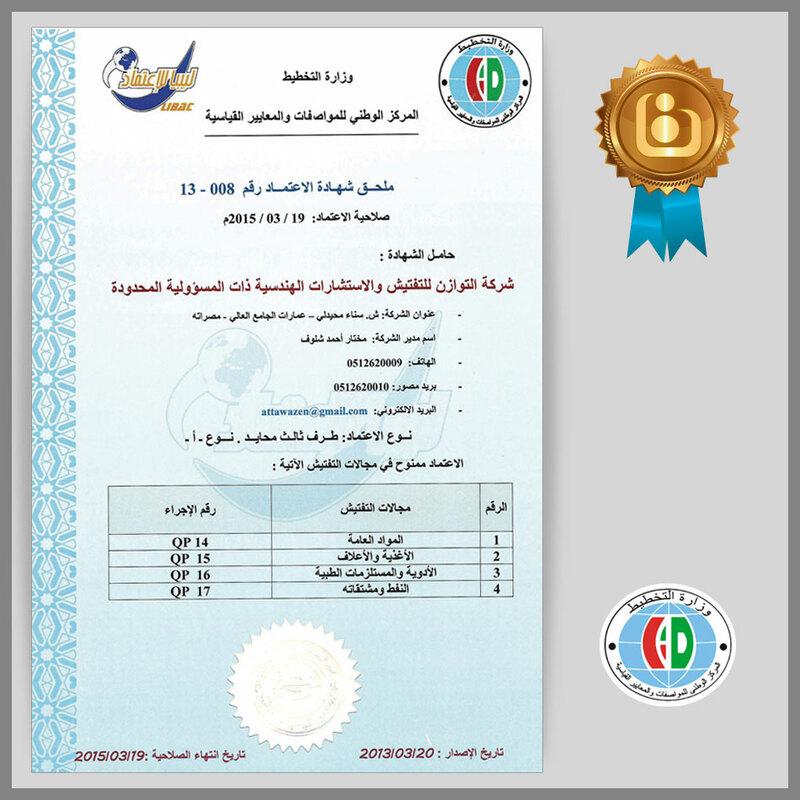 ATTAWAZEN company has been credited by Libyan National Center for standardization and Metrology and is registered as Consultant Company. Attawazen for Inspection & Engineering Consultancy is a Ltd Libyan Company, pioneer in the field of inspection & engineering consultancy, Certified by ISO 9001-2008 & Libyan National Center for standardization & Metrology, registered as Consultant Company in the ministry of Planning, Approved to practice inspection & technical consultancy, The company member in the Chamber of Commerce & in many other national bodies of the same purposes. 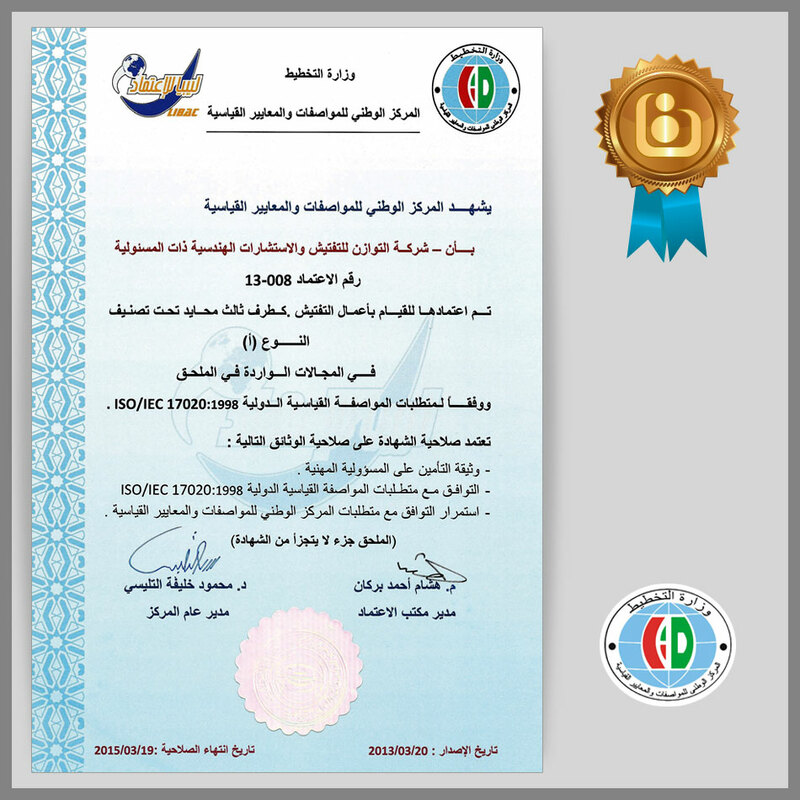 We are a Ltd Libyan Company, pioneer in the field of inspection & engineering consultancy, Certified by ISO 9001-2008 & Libyan National Center for standardization & Metrology, registered in the ministry of Planning, & member in the Chamber of Commerce & many other national bodies of the same purposes.